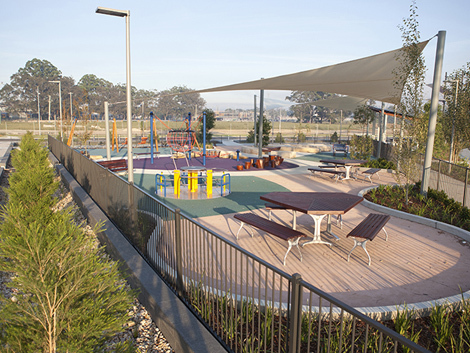 Smith’s Paddock is the central public space and focal point of the Landcom development known as Thornton in North Penrith. The centrepiece of the project is a 30,000m2 playing field, which references a historical bush cricket field that once existed on the site. 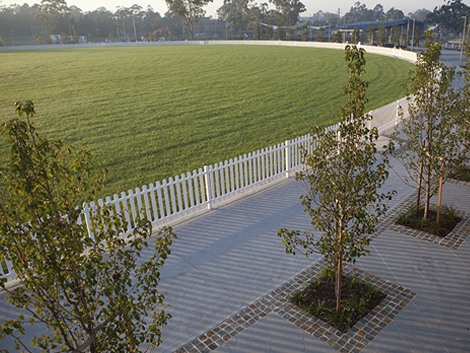 The field is ringed by a traditional white picket fence and washed concrete pathway with adjacent gardens and timber bridges connecting the outer footpaths. A series of exercise stations are evenly spaced around the oval featuring large sandstone log borders. 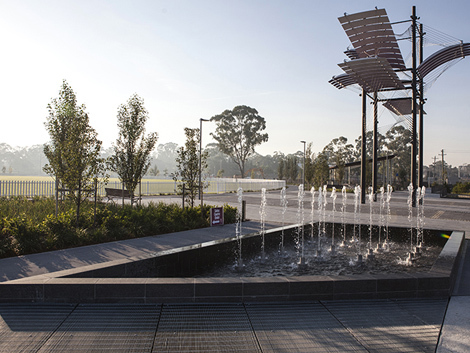 The western side of the oval is where a concentration of high-quality finishes reside, including; a club house, ‘The Cricketers Pavilion’, a young age playground with adjoining picnic shelters, seating, BBQ facilities, and a four-pond granite water feature. 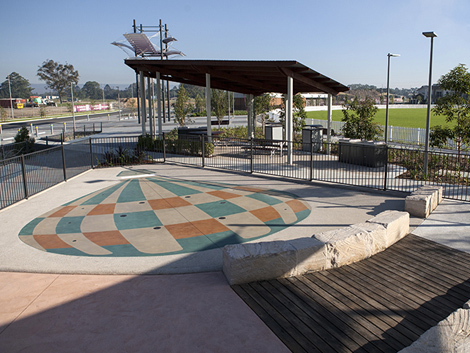 The central portion contains the Box Kite sculpture in a black granite plaza, and further along, in the south-western quadrant is another playground for older children, a steel and timber boardwalk, a pair of picnic shelters with seating, further BBQ facilities, and a zero depth water play area.